In the movie Eat, Pray, Love, Liz's friend is going to have a baby and shows Liz a box of baby things that she has been keeping under the bed. She has been wanting a baby for a while so this was her way of hoping and preparing for one. 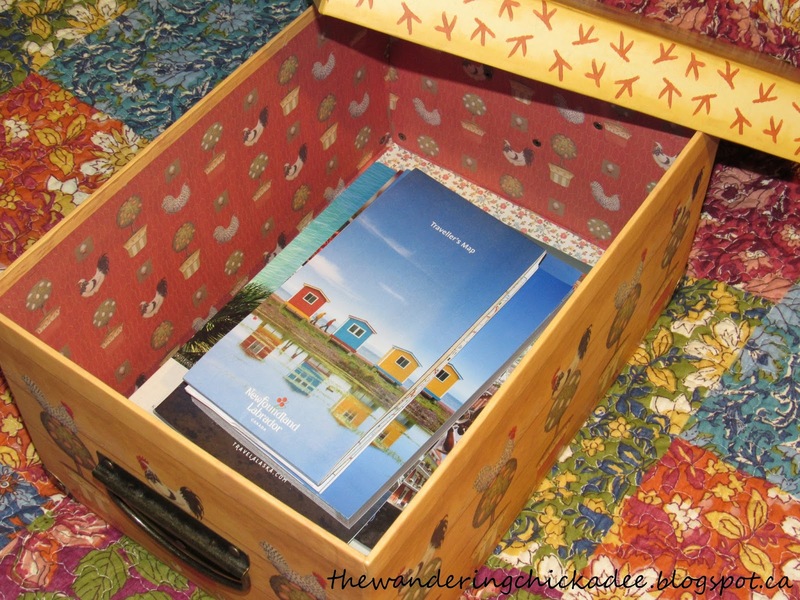 Liz states that she also has a box under her bed, but that hers is filled with things for the places that she wants to travel to. It's a bit different in the book: Liz's friend still has a box of baby things but Liz describes the excitement she had when the magazine that she worked for told her that they were going to send her on a writing assignment to New Zealand. For this post, the movie's version of the scene is the one that's important. I watched the movie a few years ago and that scene is one that I always remember. The box of travel things is basically like a vision board, except for the fact that you should be able to actually see your vision board all the time. I have many places that I want to travel to, so I thought that it would be fun to make my own box of places that I want to go to. 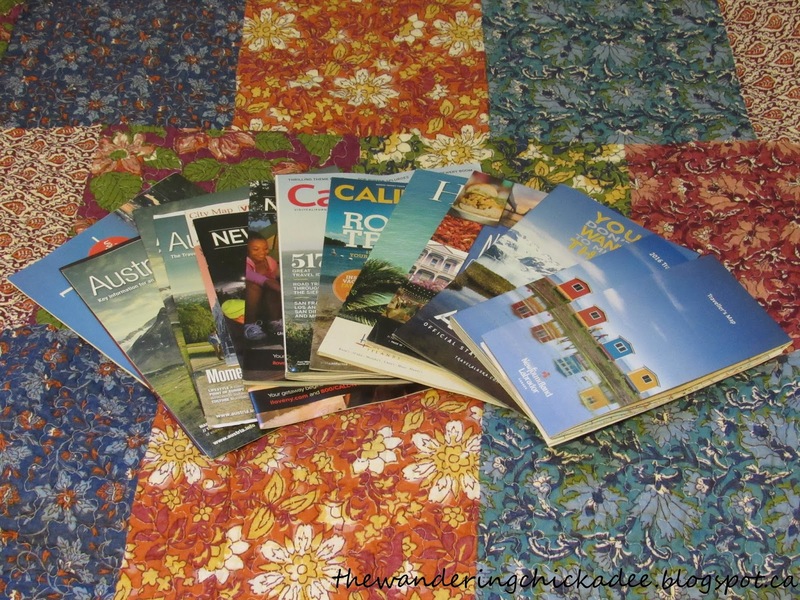 I decided to just find a box that I had that was big enough and fill it with free travel brochures, travel guides, travel booklets, travel magazines, travel maps, etc. that I could order online. As each of these arrive at my house, I place them in the box. I now have something that I can physically take out and look at. I can peruse the information and learn more about the places that I want to travel to someday. When I'm thinking of where I want to go next, I have all sorts of options already waiting for me and I have information already at my fingertips to start planning the trips. So far, I have travel material for Newfoundland, Alaska, New Orleans, Hawaii, California, New York State, and Austria. There are many other places that I want to travel to so I'm still working on adding all of them to my box. This activity can be done for anything that you want to do in the future (just like Liz's friend's box was for the baby that she wanted to have). The possibilities for this activity are endless! Choose a box that you like whether it is a box that you already have or a box that you buy, and fill it with things that have to do with whatever it is that you want or want to do in the future. I recommend putting your box somewhere where you will see it all of the time and make sure to open it up and look through it often to remind you of what it is that you want.